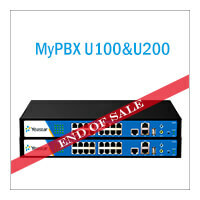 Yeastar announces the end of sale for MyPBX Standard and MyPBX U300. 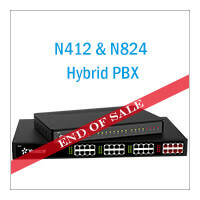 From the date of this announcement, MyPBX Standard and MyPBX U300 will no longer be available. 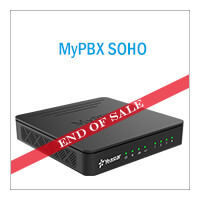 The new S-Series VoIP PBX is replacing MyPBX Standard and MyPBX U300. The users of MyPBX Standard can choose Yeastar S50, and Yeastar S300 can satisfies the requirement of U300 users. During the product’s warranty period, Yeastar will continue to support our partners and customers who are using this product. Warranty periods are not changed by the end-of-sale of the product. Please contact us if there are any questions about this notice.